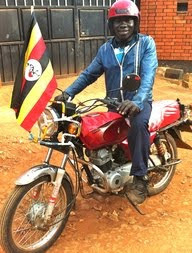 Bodaboda Baby: "The bodaboda drivers are all super heroes." 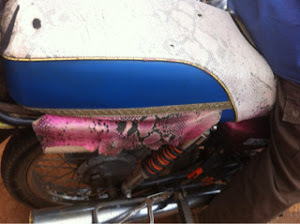 Confessions of a mzungu rider. 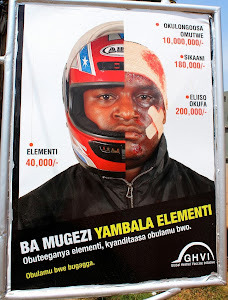 "The bodaboda drivers are all super heroes." 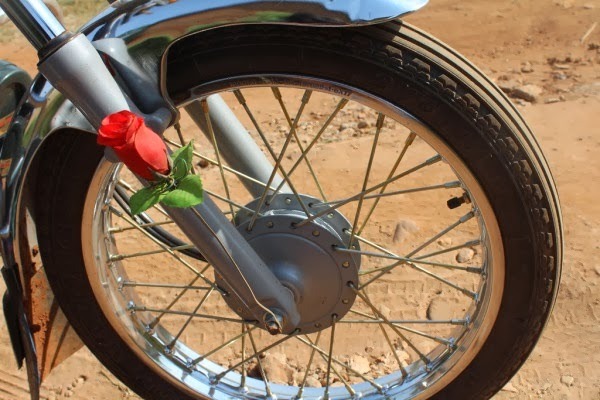 Confessions of a mzungu rider. Brrrmm brrrm. 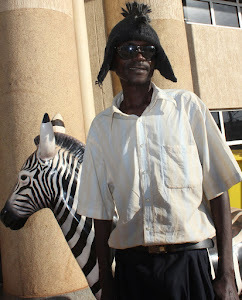 Can't believe this is only day five in Kampala! Photo courtesy of William Ranieri. 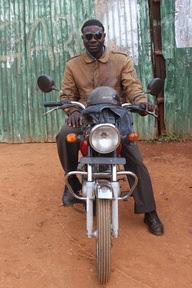 I only discovered the other, day when he offered to give me a lift to Kira Road after a press conference, that my mzungu film-maker friend William Ranieri (not to be confused with the other William) had his own boda. I first met William and his lovely girlfriend Jo, a doctor at Mulago hospital, at the Halloween party our house had (the same party we had to take to another house, due to a power cut at ours, but this is another story). "Yeah, I bought it five days after arriving in the country," he told me. Of course I wanted to know more. 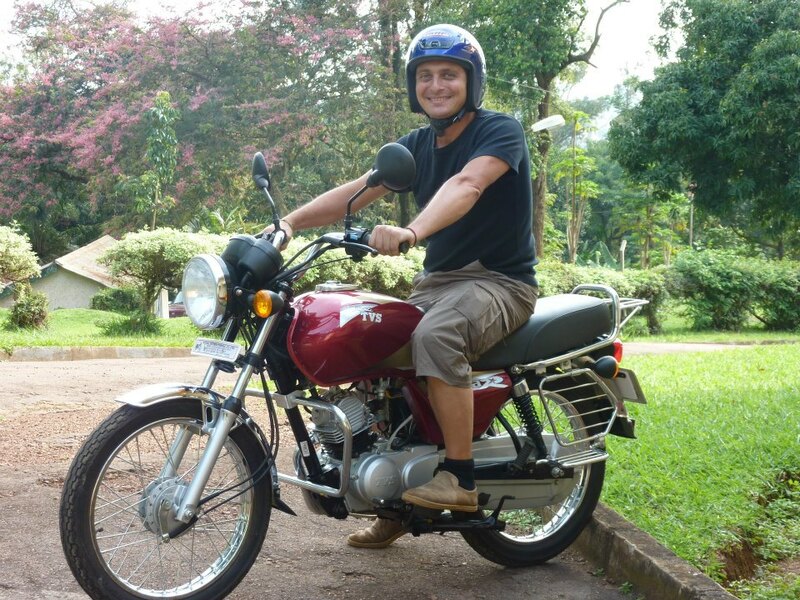 I was most interested, as an Italian, what William thought of driving in Kampala's chaotic traffic, so I kindly asked him to take part in a Q&A as the first mzungu rider (technically he's not a boda driver - yet - despite dropping off white-y friends every now and then). 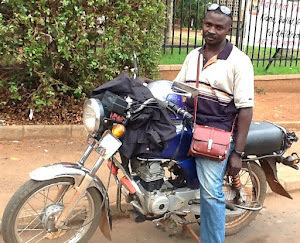 Check out the great video he's made, and go on a boda trip yourself, below. 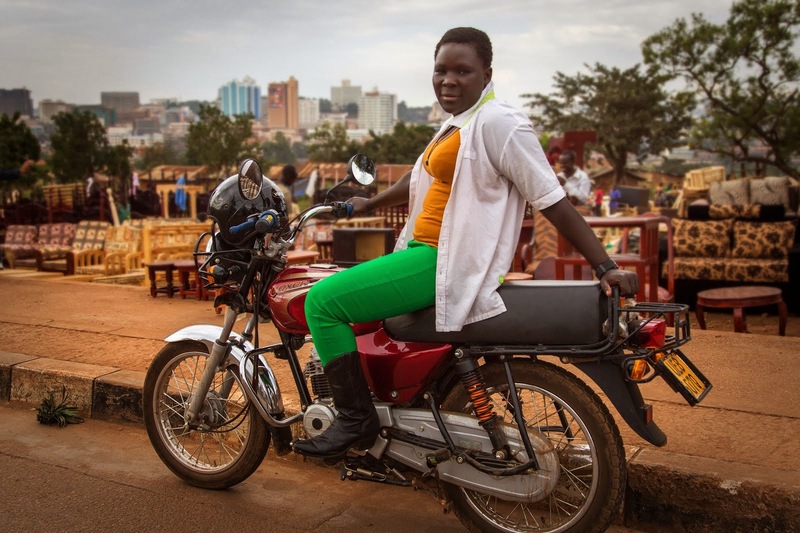 Firstly, what were your first impressions of Kampala's bodas? 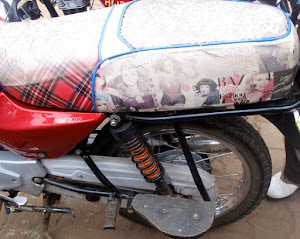 When did you buy your boda ? 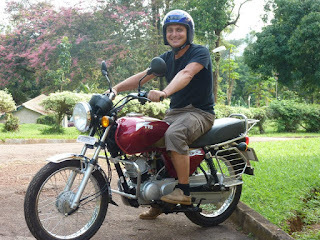 Because I have a 'boda' back home (in Brighton) and I'm used to riding. 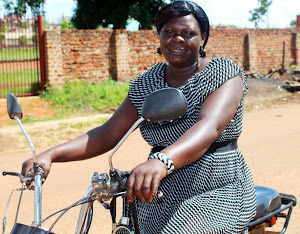 I'm used to the freedom of jumping on a bike to go anywhere because I trust myself - more than ANY other boda driver. 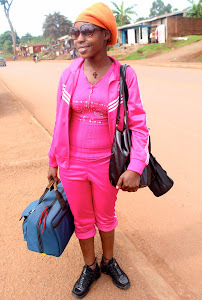 What were your experiences as a passenger? Terrifying!!! 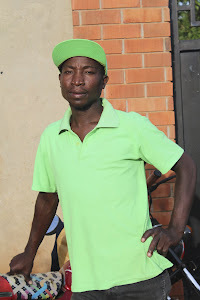 My first Monday in Kampala I was going on my first bodaboda trip to have my new house keys cut and I almost had myself cut instead!! One person told me, "If you go that way you'll die!" 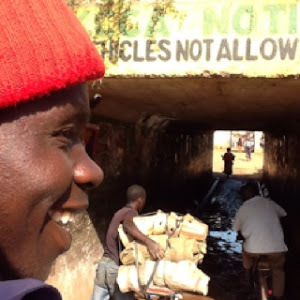 I kindly and gently suggested the bodaboda rider to "U turn, now!" You're from Italy where they have a lot of scooters? How is this different to Kampala? 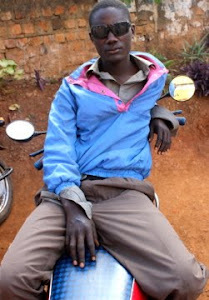 Have you got any nightmare boda stories - either as a passenger or driver? Luckily (I have) very little to say personally. Only once a very small but very fast kid tried his best to be run over by me. I wasn't speeding so had time to brake many millimetres before the impact! I also assisted after a terrible accident one day. 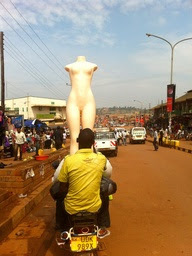 A BIG truck took the right of way and the poor boda was literately hooked by the side of the truck. 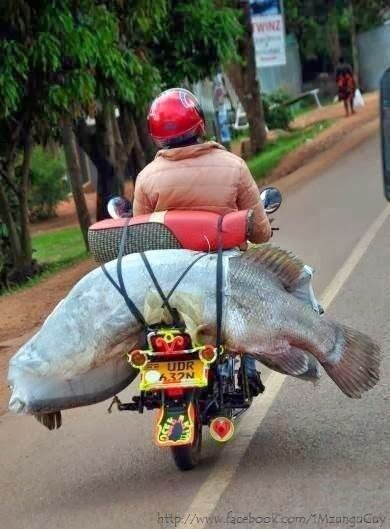 The rider flew away and bounced back on his feet while the poor motorcycle was stuck under the truck! Does Jo go on bodas? 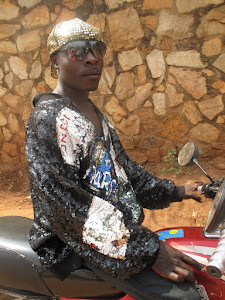 Ug's bodas are quite stylish. 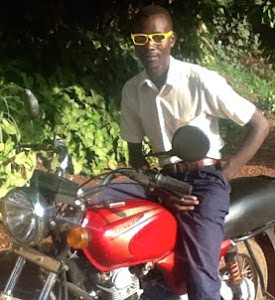 Do you feel under any pressure to look "smart" when on your boda? Not at all. The only style is in the riding ! 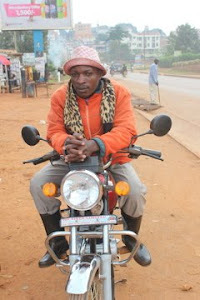 Do you think riding a boda in Kampala will change the way you do it when you go home? I really hope my style will improve rather than getting worse while I'm here. You need to have eight eyes to ride safely here while back home I only need one. 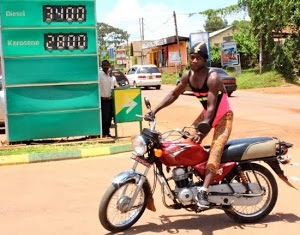 But after more than two months in Kampala and almost 2,000 km on my boda, I've come to realise that these guys, the bodaboda riders, are all super heroes!! 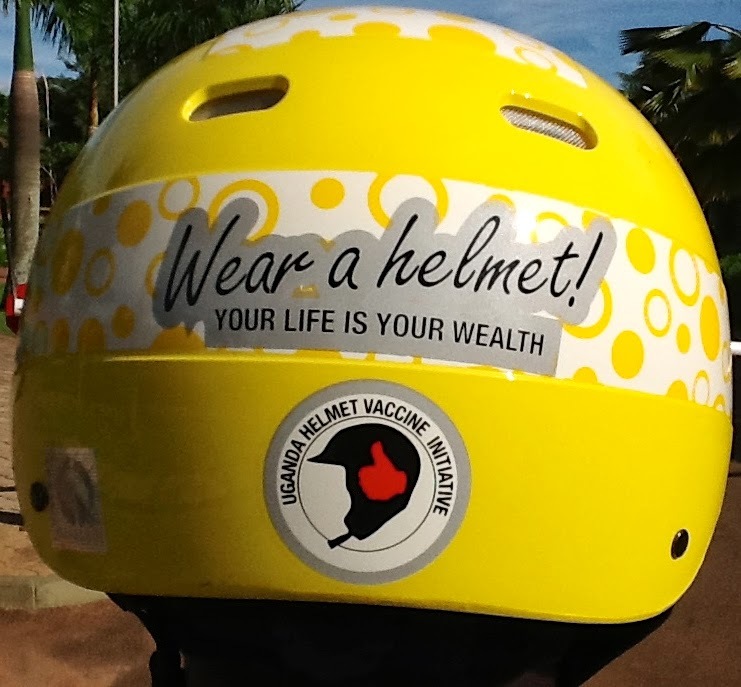 South Africa's answer to bodabodas?